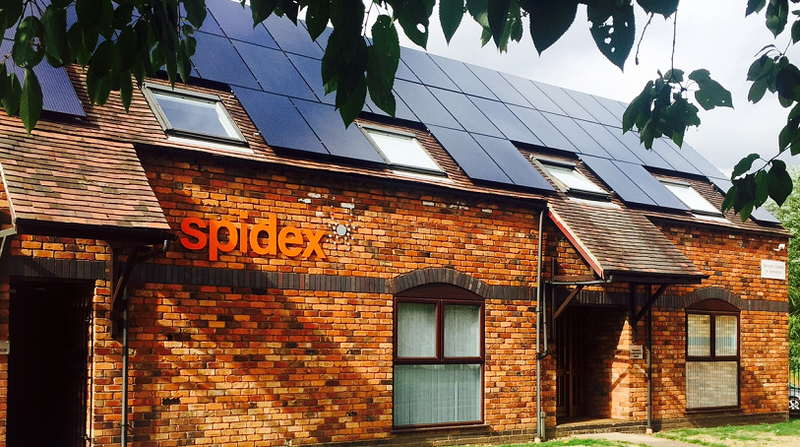 Spidex Software has installed a rooftop solar panel array at its offices in Coleshill, Warwickshire. The installation, completed earlier this month, is now delivering clean, inexpensive, emission-free power to the building. As a software supplier and developer, Spidex has a substantial inventory of IT hardware, and the resultant energy bill represented a significant annual cost to the business. The company started looking at solar energy as a means of reducing those energy bills, as well as lessening its environmental footprint. 2018’s scorching summer months presented a great opportunity to go out to market and evaluate potential suppliers. After a detailed comparison exercise, Spidex appointed Greenway Energy Ltd to carry out the installation. Following site surveys and remedial works to the building’s roof tiles, the 40-panel array was installed over a period of a few days in September.